Blade length : 72.6 cm or 28.58 inches. Width at the hamachi : 2.95 cm or 1.16 inches. Width at the Kissaki : 2.16 cm or 0.85 inches. Shape : The blade is wide and thick with suitable sori healthy blade. and also mokume had mixed visible to see the texture. with small sunagashi. Boshi is midarekomi style. 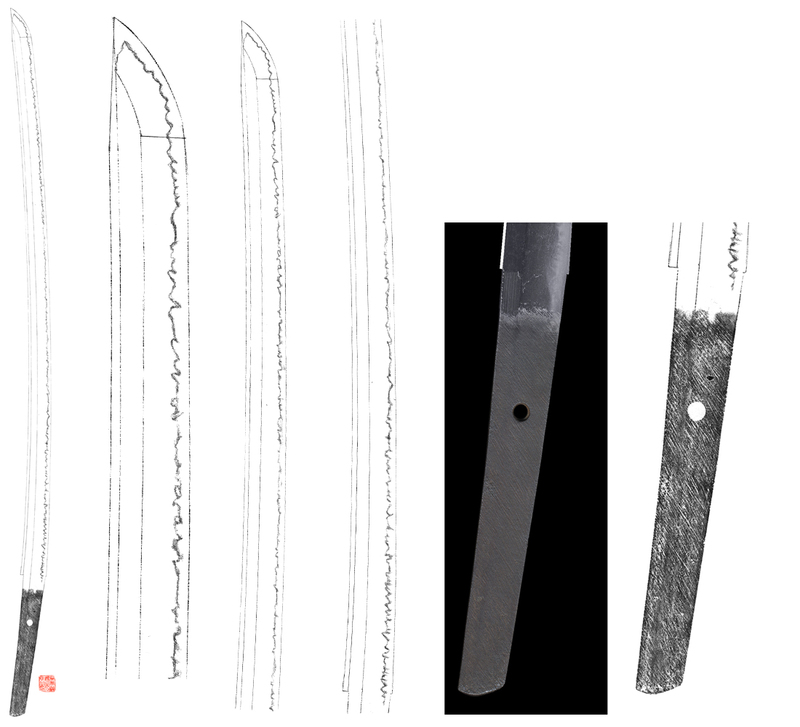 Special feature : At a glance, the blade looks Late Muromachi period but after check the blade carefully, the Hamon looks not old. So I think the blade was made at Late Edo period like Asyu Sukeyoshi. 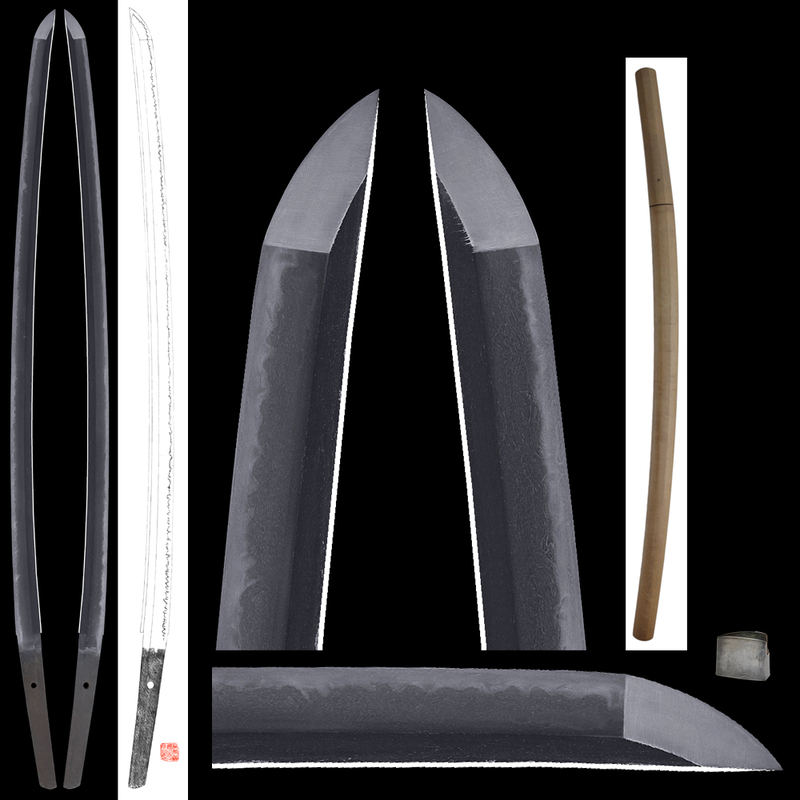 The blade is suitable for Kansyo(watch the blade) or Iai practice. If you need our assistance for making Koshirae, please feel free to ask us.